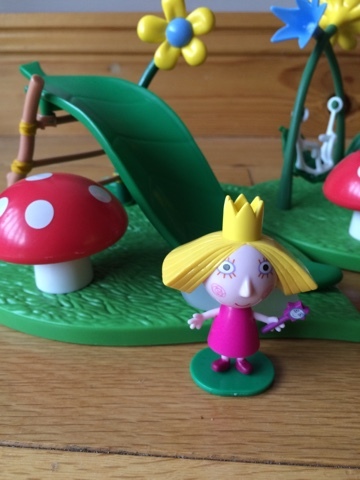 Maegan (age 4) absolutely adores Ben and Holly's Little Kingdom so I'm really pleased to share with you the latest collection of Ben and Holly toys from Character-Online. 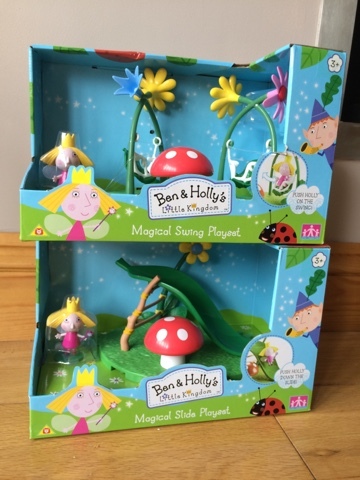 We received both the Ben and Holly Magical Playground Slide and Swing Playsets (available separately) to review. The packaging was straight forward to open and remove the toys - I didn't even need scissors. 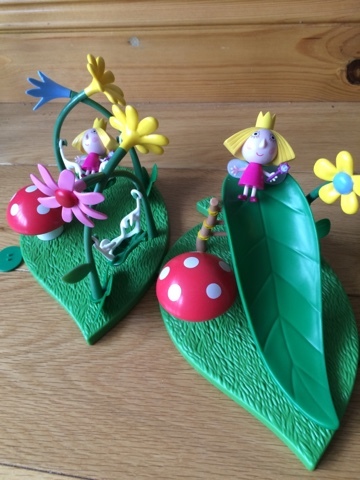 The playsets are designed to clip together (compatible with other items from the range) so you can create a whole magical playground for Ben and Holly. 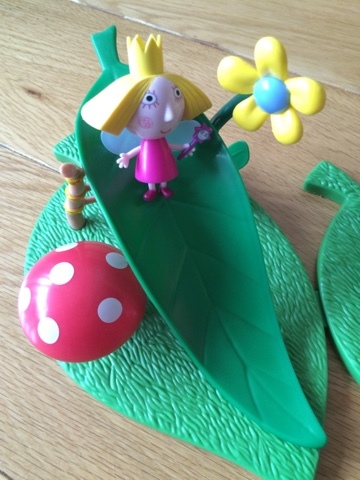 Both sets included a Holly figure - who loved to slide down the leaf shaped slide. 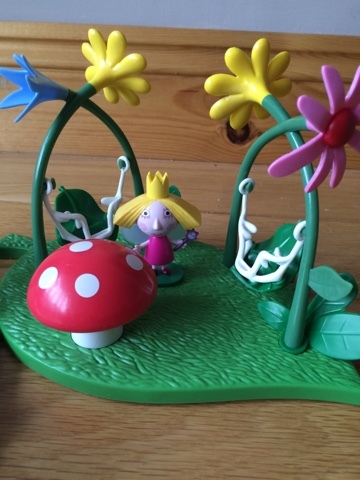 The playsets come with a stand to place Holly onto to keep her upright. 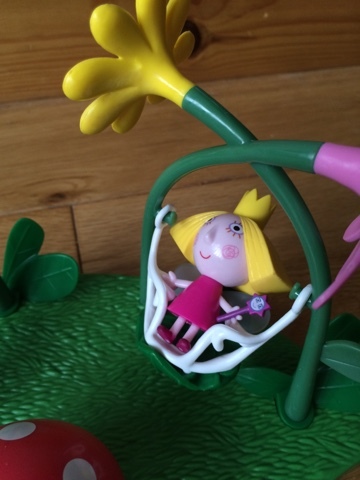 The swing set comes with two leaf swings - that really do swing! Holly loved to swing between the stems of the brightly coloured flowers. 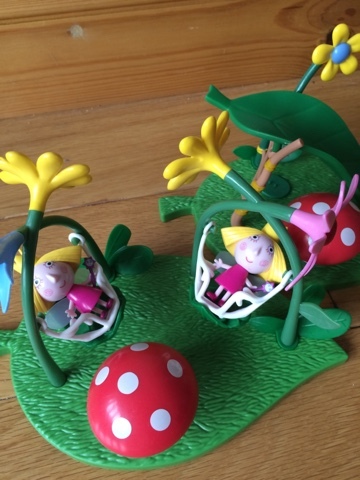 Both playsets are joyful and magical - inspired by nature and true to the show. 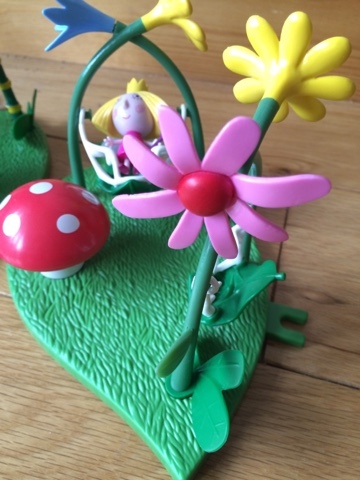 You can place the playsets however you like - there are different options to connect them together to make it truest unique. 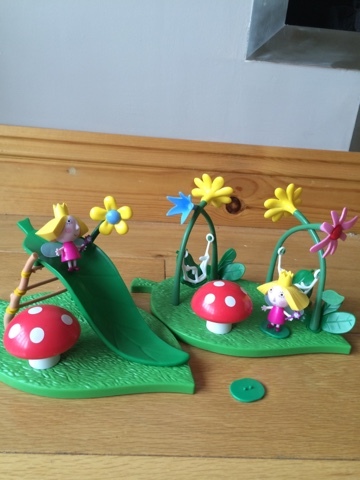 The brightly coloured toadstools are such a great detail to add. 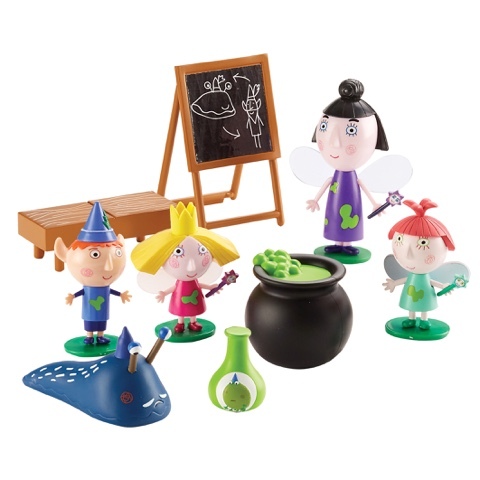 There is a very impressing selection of Ben and Holly's Little Kingdom toys from Character-Online. At £9.99 (RRP) each, I think the playsets are good value for money and a great way to build up a little kingdom all of your own. Disclaimer - I was sent the Magical Swing and Slide playsets for my consideration, all thoughts and link choices are my own.